Joint conferences; publication of joint collections; exchange of library stock; promotion of the publication of scientific departments in the editions of universities; exchange of teachers, young scientists. 28.12.15 – open-ended Exchange of students, teachers and research staff in conducting joint work. 2016-2021 Exchange of scientific and pedagogical workers; organization of joint conferences, seminars; establishment of scientific cooperation. 01.10.2017-01.10.2022 Organization of conferences, publication of joint publications, as well as work on a joint research project. The exchange of publications and information, the organization of joint research, the holding of joint scientific conferences and seminars. 05.11.2018 – open-ended Exchange of experience and information on economics, psychology, teaching methods, structure and content of higher education, implementation of distance two-level training; exchange of teachers and applicants for higher education for internships and advanced training. 10.10.2015 – open-ended Conducting joint archaeological research on the historical territories of Kamyanets-Podilsky. 15.07.2013 – open-ended Exchange of experience and information on economics, psychology, teaching methods, structure and content of higher education, exchange of teachers and applicants for higher education for internships and advanced training. 12.05.2008 – open-ended Exchange of experience in physical education, sports and health, history of physical culture and sports, Olympic and professional sport; exchange of teachers and applicants for higher education for the purpose of training and advanced training. 02.01.2013 – open-ended Cooperation and development of links in the field of higher education, science and culture, exchange of experts, scholars, teachers, students, as well as information and scientific materials in the field of higher education and scientific activities. 01.12.2006 – open-ended Investigation of properties of semiconductor compounds, development of devices for optoelectronics. 16.10.2018 – open-ended Replenishment of the scientific library with educational and methodical literature, conducting the courses for the teacher’s training of teachers. 25.11.2013 – open-ended Cooperation on education and research. 27.05.2013 – open-ended Preparation of educational, methodological, scientific literature for the medical-biological cycle. 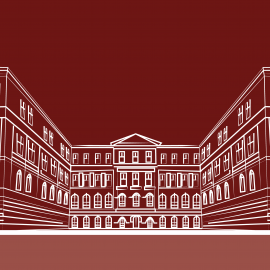 16.09.2011 – open-ended Publication of a collection of scientific works “Study of the History of Central and Eastern European Countries”. 05.05.2010 – open-ended Exchange of professorial teaching staff; joint organization of courses, internships, conferences and seminars; joint research projects on nature conservation and the environment. 20.05.2009 – open-ended Scientific research, seminars within the framework of the “School of Open Mind” with the publication of collections of scientific works. 20.11.2006 – open-ended Development of research in the field of humanities, as well as in the field of precise, natural sciences. 04.04.2017 – open-ended Exchange of scientific and pedagogical workers; organization of joint conferences, seminars; establishment of scientific cooperation. 25.11.2009 – open-ended Joint research, exchange of employees, students and experience, publication of a joint collection of scientific works. 01.03.2014 – open-ended Joint research, information exchange, with students, teachers, creation of a joint scientific center in the field of special pedagogy. 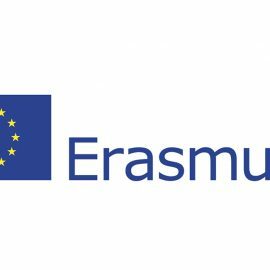 02.12.2008 – open-ended Provision of specialized literature, exchange of students within the Erasmus + program (KA1: Academic mobility). 10.05.2011 – open-ended Teaching and training in restoration specialties, preparation of teaching materials, exchange of students and teachers. 26.10.2006 – open-ended Scientific research, scientific cooperation; exchanges of students and teachers. 01.03.2016 – open-ended Exchange of teachers, scientific and methodological information, publication of joint publications. 08.05.2017-08.05.2022 Exchange of students, the possibility of parallel training in higher education institutions and obtaining a double diploma in the specified directions. 07.11.2017 – open-ended Exchange of experience between scientific and pedagogical workers, organization of conferences, etc. 18.06.2013 – open-ended The exchange of pedagogical and scientific staff, the exchange of scientific materials, the joint organization of courses, internships, conferences and seminars, the organization of joint master’s and postgraduate programs, joint research projects, including state and fundamental research. 28.04.2010 – open-ended Exchange of faculty staff; organization of joint conferences, seminars; establishment of scientific cooperation. 01.07.2013 – open-ended Exchange of experience and information on economics and tourism, exchange of teachers and applicants for higher education for internships and advanced training. 28.08.2008 – open-ended Pedagogical, research, scientific work, exchange of students and teachers. Exchange of pedagogical and scientific staff, exchange of scientific materials, joint organization of courses, conferences and seminars.